The 5200 Series is a 2 thread portable with rugged, but simple design for easy maintenance. The machines weights 14lbs and is ideal for closing bags that need 2 threads and also sewing medium to lightweight non-woven geotextile material. 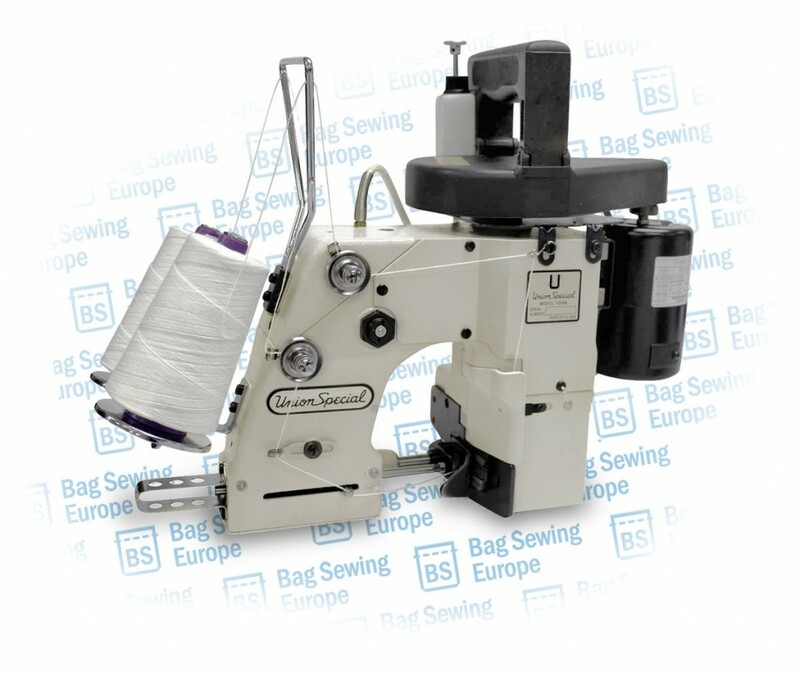 Portable Bag Closer Bag Stitcher Machine, Single Needle, 2-Thread Chain Stitch, Half- Automatic Thread Cutter. Easy to Operate. Recommended for bag closing applications demanding high strength and tight closures for materials such as Polypropylene, Multi-Wall Paper, Jute & Geotextile, Geomembranes, Geonet, Geosynthetic fabrics (landfill caps and liners). Robust design works in the most hard outdoor conditions! Also ideal for closing bags containing feed, seed, chemicals, & agricultural products when a strong 2-thread closure is needed. It is also possible to connect artificial Lawn with the Newlong Industrial NP-3(II). The possibilities with this hand held machine are versatile.